SenGram is an English language puzzle game focussing on grammar. Access to internal Dictionary and definitions. Each topic has an introductory topic chart identifying grammatical terms. One hundred puzzles already included. 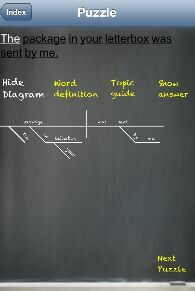 Great App ★★★★★ This is great for teaching how to diagram a sentence. Keep developing!!! :). Spectacular! ★★★★★ This application has been used to great effect in my classroom. Used as part of the daily warmup, my kids are becoming so efficient at this oft forgotten skill. 5 stars and a hip-hip-hooray for this app. Worthwhile ★★★★★ I teach Latin and a major difficulty is getting the students to see the structure of sentences. The problem, at least in part, is that they don't (or can't) see structure even in English--no one teaches diagramming any more. I'm going to try to incorporate this into this year's classes. Thanks; I'd certainly buy more elaborate versions or buy upgrades in app. Love it! ★★★★★ Please continue to develop. Great aid to learning. Thank you. Can I buy additional sentences? Yes. Version 3.0 includes a new "SenGram Store" for in-app purchases. Our companion 'teacher edition' software (for the Macintosh computer only) is called "SenGram Maker" and it is currently in review by Apple. So, yes, soon you will be able to make your own puzzles for others to enjoy. In our experience sentence diagrams are an enjoyable way for many students, particularly those with a visual mind, to explore and learn the grammatical structure of the English language. Yes it does! In fact, when the "2x" button is clicked, the image fills the screen and the app looks quite beautiful on a large screen (in our opinion). 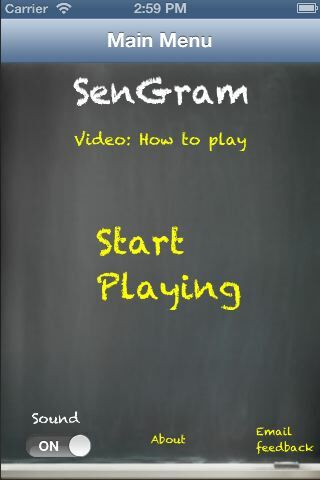 SenGram is an iPhone and iPad language game which permits players to solve sentence diagram puzzles. 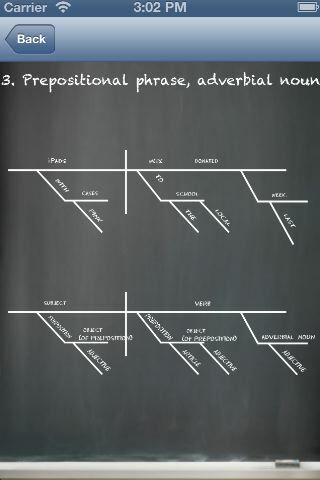 If you want to read more about sentence diagrams, click here. "Awesome. This is great for reinforcing sentence diagrams! My students loved it. Just needs more sentences. Lots more! Please!!!" Your objective when playing the game is to place each word in the 'puzzle sentence' in its correct place on the 'sentence diagram'. This game tests and improves your ability to take sentences apart, identify the underlying grammatical structure, and reflect that structure on a diagram. This game is of interest to students of language (including ESL students), lovers of language and grammar, those sitting standardised tests with a grammar component (e.g. 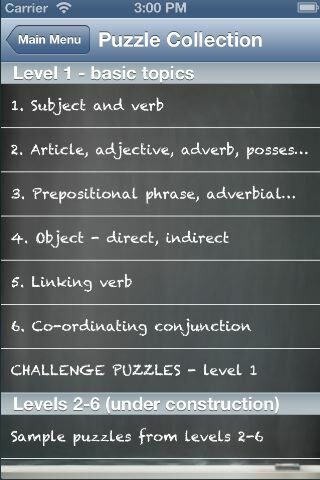 SAT, GMAT, NAPLAN) as well as those who are familiar with sentence diagrams and enjoy completing them as puzzles. The style of diagram adopted in SenGram is known as the 'Reed Kellogg' style, and there are many websites and books devoted to it. In our view this style of diagramming offers one of the more enjoyable ways to test and improve your knowledge of grammar, especially if you have a visual mind. New: 60+ puzzles for sale in the SenGram Store. Upgrade: User interface to iOS 7.0 (now a requirement). Copyright © Soferio Pty Limited. All Rights Reserved.